Most states, including California, recognize the doctrine of “at will” employment. “At will” employment simply means that an employee works for a company only so long as either the employee or the company wants the relationship. The employee can quit any time s/he wants to quit and a company can fire the employee any time it no longer wants the employee working for it. Thus, it is not illegal in California to terminate an employee who has been dedicated, hardworking, long-term, and/or who has excellent performance evaluations. But, there are limitations on an employer’s right to terminate an employee “at will”. For example, an employer cannot be motivated by discriminatory reasons such as terminating an employee because of the employee’s race, age, gender, nationality, disability, etc. Another example is that an employer must not be motivated to retaliate against an employee who was a whistleblower. A whistleblower is generally a person who exposes misconduct or illegal activity occurring in an organization. If you believe that your employer (or former employer) has wrongfully terminated your employment, contact Henk Leonard for us to do a free evaluation of your situation to see if we can assist you in a claim against your employer. If you have a case for disability discrimination, we will file a lawsuit against your employer, whether it is a small to mid-size firm or a huge corporation. 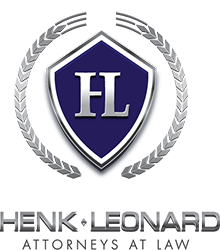 We will put our years of trial experience at HenkLeonard to work on your behalf.